You've decided to purchase life insurance; now it’s time to decide which life insurance company will offer you the best value cover suited to your requirements. Finding the right type of protection at the right price can help ensure your loved ones will be financially supported should something happen to you. Every person is different, so it makes sense that your policy should be specific to your unique requirements. ComparingExpert compares many of Australia's top life insurance companies and policies, and we’ve now updated our list of insurance companies in Australia with 2019 statistics! Which insurance company is the best in Australia? There is no one 'best life insurance company'. Each life insurer is different. A company that’s well suited to a family with dependent children might not be the best option for a single, career driven, 20-something young professional. Life insurance companies in Australia offer competitive premiums and benefits to suit people at different stages of their lives. However, some companies might provide you with cheaper premiums and better coverage depending on your specific requirements. To help you decide which company is best for you, we've compiled a list of life insurance companies in Australia, highlighting the top 10 by market share. This top 10 list is based on Strategic Insight market share report as of September 2018. Market share fluctuates over the years largely due to mergers and acquisitions within the insurance sector. Although a good indication of a company’s worth, it should not be the key determining factor when choosing the appropriate cover for your requirements. To find the best value life insurer for you and your loved ones, start by requesting quotes from Australia’s largest companies and comparing similar policies against one another. Review their policy benefits, features and price side-by-side. Sources: Strategic Insight media release (January 2019). Standard & Poor’s rating (Nov 2017). How many life insurance companies are there in Australia? There are about 29 life companies in Australia (as of February 2018). Below is the complete list of registered companies in Australia, including the top 10. Formerly known as Tower Life, now owned by Dai-Ichi Life Group (Japan). $1.6 billion claims paid in 2017. 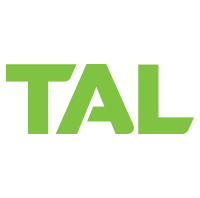 Customers might benefit from TAL's Health Sense rewards program. Entry ages from 16 up to age 75 for stepped premiums and age 60 for level premiums. 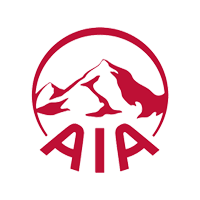 Owned by Hong Kong based AIA Group Limited. Stepped, level and hybrid premiums are available. Get access to many savings and discounts with AIA Vitality. Entry age as young as 11 years old. Majority owned by Japan’s Nippon Life. Available to applicants between the ages of 11 and 70 years old. However, level premiums are only available up to your age 60. Get discounts with MLC On Track wellness program. Best Doctors worldwide network available for a medical second opinion. Merged with AXA in 2011. Sold to UK’s Resolution Life Pty Ltd in 2018. Eligible to clients between 16 and 60 years old. Save up to 10% on premiums with Amp Elevate Healthy Start. ING Australia was rebranded as OnePath when sold to the ANZ Bank group. 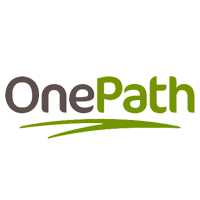 Zurich Switzerland is in the process of acquiring OnePath. Open to people between the ages of 18 and 59. If you take out coverage for yourself and a second life insured, you will generally get discounts off your premiums. The insurance arm of the Commonwealth Bank Group (CBA). 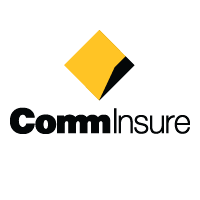 CommInsure Life has been sold to AIA Group Ltd. Paid $1 billion in claims in 2017. You must be between 18 and 50 years old to get a policy. Locally owned by the Westpac Group. Available to applicants between the ages of 17 and 59. A choice between stepped or level premiums. Owned by Suncorp Group Limited. In the process of being sold to TAL Dai-ichi Life Australia. 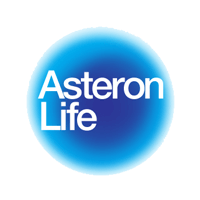 Save on premiums with Asteron Healthy Life Discounts. Entry age between 18 and 62 for stepped premiums and up to age 60 for level premiums. 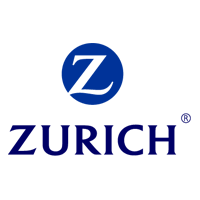 A global insurance company based in Switzerland. 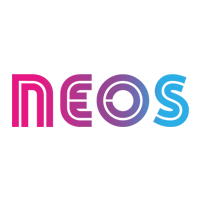 Once OnePath is acquired, they’ll be Australia’s largest retail life insurer. Entry ages between 10 and 70 years old. Multi-policy and multi-lives discounts are generally available. Paid $488 million in claims in 2017. Part of the Metropolitan Life Insurance company in the US. Entry ages between 15 and 73 for stepped premiums and up to age 59 for level premiums. 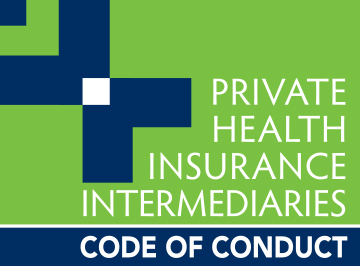 A number of health strategies and services are typically available once they're notified of a claim. The best life insurance company is the one that suits your requirements and fits your budget while providing you peace of mind that your family will be protected if you pass away or get diagnosed with a terminal illness. There are various factors to consider before choosing a life insurer, including their policy features and benefits and the short and long-term affordability of your premiums. Make sure the company you choose provides you with enough coverage so that your family can keep living the life they are accustomed to, or if you’re single make sure your cover is enough for outstanding debts. Also, you might want to consider a life insurance provider that offers a funeral advancement benefit, so your final expenses can be paid while they await payment for the remainder of the lump sum. All life insurance companies in Australia are regulated by the Australian Prudential Regulation Authority (APRA), which helps to ensure the insurer will have the funds to meet their claims obligations. However, according to the ASIC 498 report into life insurance claims, your claim has a 71% higher chance of being declined when purchased directly from the insurer (not- Advised) compared to buying life insurance through a Retail (Advised) distribution channel. Make sure you carefully review the company’s Product Disclosure Statements (PDS), so you know exactly what is and what is not covered. The offerings from a direct insurer vs a retail insurer and a group super fund are very different, which is why it's so important that you carefully read the terms and conditions. Calculate whether you’ll be able to afford the policy premiums now and in the future. If you’re looking for short-term affordability, a stepped premium style might be best for you. On the other hand, if you're able to start with higher premiums, which don't increase every year due to your age, then a company offering level premiums might better. Consider companies that add more value with healthy living rewards - helping you save on your premiums while encouraging you to live a healthier life. Although reward programmes should not be the deciding factor when choosing a company, it does add that something extra. Ratings are given by an independent entity such as Standard & Poors. While an evaluation from an independent source does not tell you how good a company is, it does help you measure the insurers’ creditworthiness, which further indicates whether a company will be able to pay claims now and in the future. 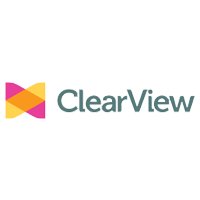 Read customer reviews and complaints about the various companies to determine how their past and current members experienced them. You might want to consider how easy or difficult it is to talk to a real human. When you have questions or need to submit a claim, it's essential to get hold of a competent client care person to help you. AAMI Life offers death cover, income protection insurance with additional involuntary unemployment, and accidental injuries insurance. No medical tests required. What Australian insurance companies offer premium refunds? Because I am not aware of your personal circumstances and whether you’re referring to refunds in regards to cancelling a policy, tax refunds or ‘money-back’ term policies I’m not able to provide you with an exact answer. However, by filling in the quote form above you can compare life insurance companies and find the one best suited to your budget and individual requirements. If you prefer to speak to a consultant directly, feel free to contact us on 1300 135 205. We look forward to assisting you with your life insurance journey. Why is it that 71% of claims will likely be declined when the policy was bought through the insurer directly (not through an adviser)? I guess buying through a group fund like superannuation will be worse? The ASIC 498 report reveals some indicative reasons for the high rate of claims being declined on page 58. While this might not be a conclusive list it does show that Direct policies have lower underwriting criteria at application time which could lead to uncertainties during claim stage. Non-advised policies are also known for certain clauses that might make a successful claims outcome difficult. That’s why we make retail policies available to our audience because getting the right claims outcome is our priority. Another advantage of Retail policies, apart from having a better claims rates (as per the data in the ASIC report) is that you can choose to pay your premiums either through your personal funds or through your Super Fund. Hi. My husband will be 62 in October and I would like to choose the MLC on track policy. How do I go about this? 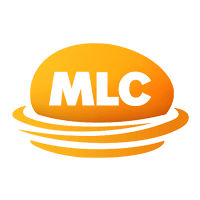 Your first step to purchasing an MLC Life Insurance policy with the MLC On Track wellness program is by filling in the form above. You will then be directed to a page with on-screen quote comparisons where you can tailor the policy to fit your husband’s unique requirement and then simply click apply. My husband and I are looking at getting a second mortgage. I am nervous about doing this with a growing family and my husband as the major breadwinner. We are in our 30s. What would be the best policy to get (for him) without spending too much money? I can understand your concerns and commend you for thinking ahead. While I am not familiar with your specific requirements, for example where in Australia you live and your husband’s smoking status, I cannot advise which life insurance policy would best suit your family. However, you can find affordable life insurance and protect your family without breaking the bank. There are many ways you can keep premiums reasonable, for example, choosing a level premium structure and removing optional extras. Please have a look at our comparison of the cheapest life insurance policies available in Australia. In this article, we’ve also listed and explained the various ways you can reduce your life insurance premiums. When you’re ready, fill I the quote form or call us on 1300 743 254 and a specialist will help you find the best policy for your circumstances and budget. Hi. 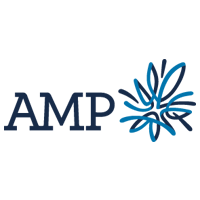 My husband has life insurance with AMP. His premiums have gone up again, so I am changing him to Onepath, which seem to be cheaper. He has had his AMP policy since 1990. Am I doing the right thing? 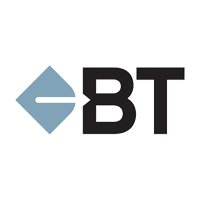 My policy is from BT and I’m also considering switching to Onepath. 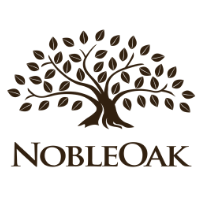 Are they a reputable insurer? I’m really worried. Hi, thank you for reaching out. Because I’m not familiar with your personal circumstances and the type of cover that might suit you and your husband, I can’t know which life insurance company might fit your requirements. Please contact us directly on 1300 743 254 so a consultant may assist you in comparing policies from these insurers. Hello, trying to find an old insurance/assurance company re. a policy I had with them in 1979. The company name thereon is ‘Scottish Australia, although I fear this might have changed over the intervening years or indeed, ceased operations. Do you know, or how I may find out ? However, these are the details. Policy Number: 8xxx6. Commenced: 10 September 1979. Summary of Transactions since 1 July 1992. Total Bonuses: $105.40. Basic Sum Assured and Total Bonuses: $4,602.40. Your benefits at 30 June 1993. The benefit payable on cashing in $2391.59. I would be grateful for any information you might possess. Unfortunately, we are not aware of such an insurer. If you do find out which company they might have been sold to, please let us know. Which insurance companies provide consumer credit insurance in Australia? Hi Julie. Apologies, but this is not our area of expertise, so I can’t point you in the right direction. Best of luck. Are there any insurance companies providing these policies here in Australia ? The type of insurance you’re referring to, called whole life insurance, is no longer being sold in Australia. Only Term Life Insurance is generally available for purchase.